TACLOBAN CITY- Controversial police officer Chief Inspector Jovie Espenido’s return to the region was aborted after his reassignment was recalled by no less than President Rodrigo Duterte. This was confirmed by Espenido who said that as a good soldier, he would follow the directive of the President and return to Ozamiz City. “There is an order for me to return. So, I will follow the order. You know me, I just follow the order (from higher ups),” Espenido, in a phone interview, said. 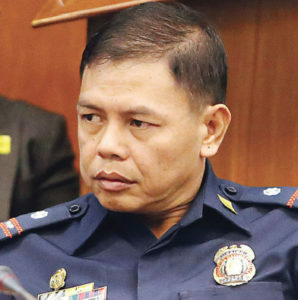 Espenido was earlier reported to return to Eastern Visayas, two years after he was relieved as chief of police in Albuera, Leyte, considered the bastion of alleged drug lord Kerwin Espinosa. 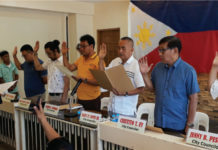 In his stint as chief of police of Albuera from July 18, 2016 until December 8 of the same year, Espenido conducted a crackdown on the group of Espinosa which led to the arrest of his father, Rolando Espinosa, the then mayor of the town. The elder Espinosa was later jailed at the Leyte subprovincial jail in Baybay City but was killed on November 5,2016 reportedly in a shootout with members of the Criminal Investigation and Detection Group. According to Espenido, he has been at the Samar Police Provincial headquarters since Tuesday in preparation of his supposed assignment in Calbayog City. Calbayog City, which is in Samar, was among the areas declared by Pres.Duterte where ‘lawless violence’ reportedly exists reason why he asked for more soldiers and policemen to be deployed there. But with the order from his Commander-in-Chief, Espenido said that he would return to Ozamiz City on Monday to report, first at the regional Philippine National Headquarter in Cagayan de Oro, before he formally reassume the post. Asked on the order of the President to ‘wipe off’ those who are engaged in the illegal drugs, particularly the Parojinogs, Espenido said that he has already done it. 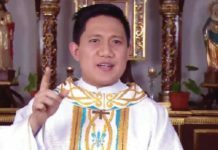 “They have been neutralized only that there still remain their hit men who continue (of their illegal drug activities),” he said. When he was the chief of police of Ozamiz City, Espenido also conducted an anti-drug operations in which during their July 30, 2017 operation, led to the death of Mayor Reynaldo Parojinog, among others.